Jason Hsu tells Morningstar ETF audience that human behavior pushing investment flows is largely to blame for investing underperformance. 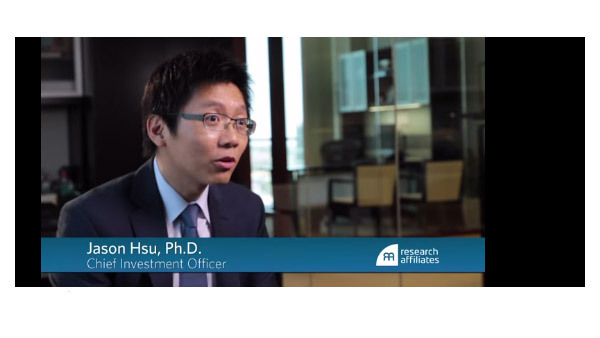 Research by Research Affiliates' co-founder, Jason Hsu, suggests investors would be better off rebalancing into out-of-favor stocks, funds and managers. Contrarians rule, or at least those who rebalance into a mutual fund or manager or ETF that has performed poorly. They are the investors who are more likely to capture the ‘return gap,’ says Jason Hsu, a partner and co-founder of Research Affiliates based in Newport Beach, Calif. and an adjunct professor of finance at UCLA’s Anderson School of Business. Hsu presented evidence during his presentation The Counter-cyclicality of Style Performance and its Implication on Investor Return Gap and Style Investment Capacity at the Morningstar ETF conference in Chicago on Wednesday that it’s human behavior pushing investment flows that is largely to blame for underperformance. Part of his conclusion comes from studying what drives cyclicality in the markets. All investment styles of trading are cyclical; value, momentum, low beta, and others show evidence of time varying premiums. The premiums, noted Hsu, are negatively correlated to past flows, which is the reason for return drags. In fact investment flows don’t smooth out cycles, but accentuate them, he said, and human behavior is largely the culprit behind these moves. “We may be the reason – our behavior – that makes cycles more volatile,” he said. The business cycle has lurched from boom to bust throughout history, Hsu noted. He described a modern example: in 1997, low beta/low valuation stocks were the rage, but began to lose steam as investors went into high beta/high valuation tech stocks. Asset flows poured into tech stocks until the bubble burst, and capital found its way back to low beta/low valuation stocks, or it did until the 2008 financial crisis. However, today investment in low beta/low valuation stocks is at its highest in history. 1) Strong style returns draw in performance-chasing flows. 3) Continued performance-chasing flows cause style premiums to turn negative. Timing decisions also accelerate poor performance. For example, in 2008, value stocks were very cheap, largely because value managers had to sell their holdings due to investor redemptions. To be the smart money, Hsu said, “Be the contrarian! Hold onto managers people are firing, and redeem from managers people love” to gain that 2% return gap that Research Affiliates’ research shows fundamental indexing can deliver. He added that one way to pick a manager who may be in a down period versus one who is just a poor performer is to stay away from managers with low assets and high fees. Also, he noted that a manager who has a dedicated strategy and is “pure” to the strategy has a greater chance of mean reversion, while a manager who trades in and out of popular themes typically delivers poor performance.